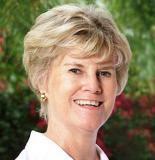 Growing up in the San Diego area, Susie earned her bachelors and masters degrees from Whittier College. She has been involved with non-profit organizations her entire life and was employed as a professional non-profit manager from 1981 until her retirement in 2006. She has served as the top paid executive of the Whittier College Alumni Association, the West Covina Chamber of Commerce, and most recently, the Palm Desert Chamber of Commerce. She is a founder of Leadership Coachella Valley. Susie has also served in leadership roles in professional organizations for both college/university development and chambers of commerce. Some of Susie’s honors include being named a Whittier Daily News Woman in Business Award, Covina/West Covina Woman of Achievement, and ABWA’s Desert Woman on the Move. Since retiring, Susie has enjoyed extra time for travel, working out (to take off the excess poundage of travel) and generally having fun. In addition to serving on Desert Best Friend’s Closet’s Board of Directors, she also serves on the boards of directors of the Family YMCA of the Desert, Healthy Families Foundation, Sterling Cove Homeowners Association and Leadership Coachella Valley.